They say everything is bigger in Texas. Well, to go along with that saying, these are some pretty huge Texas style apple pecan muffins loaded with apples and pecans, then topped with a delicious streusel topping. Talk about delish! 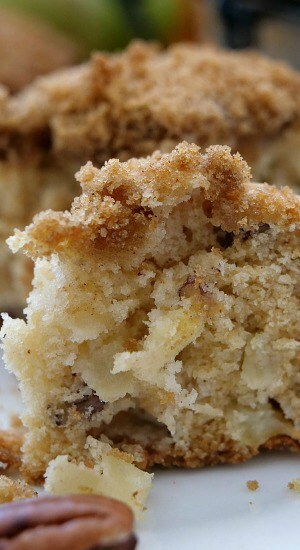 As these apple pecan muffins are baking, the smell is incredible and reminds me of fall. 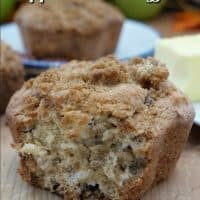 Although Fall is months away, and we are barely into the Spring season, this delicious apple pecan muffin recipe is perfect when you have a craving for fall desserts anytime of the year or just want a delicious tasting apple muffin. Imagine 3 small muffins in one. That’s about the size of these Texas style apple pecan muffins. 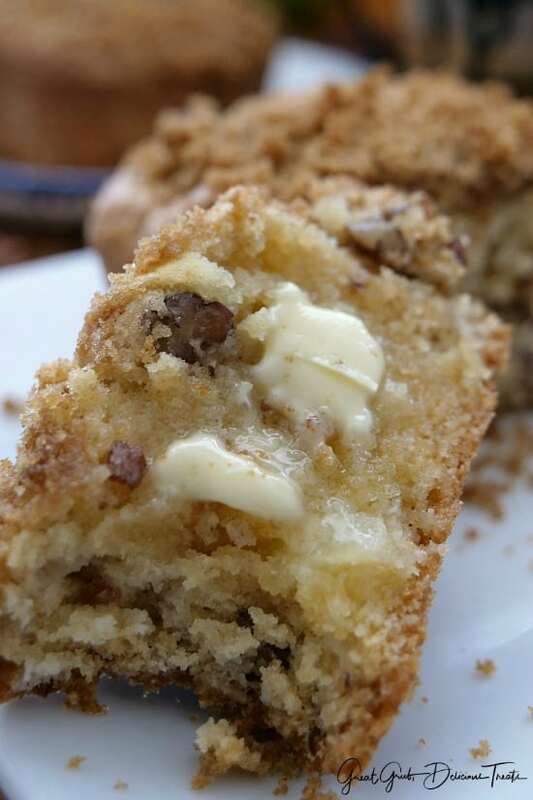 Huge, delicious, with fabulous flavor, these apple muffins are amazingly scrumptious. 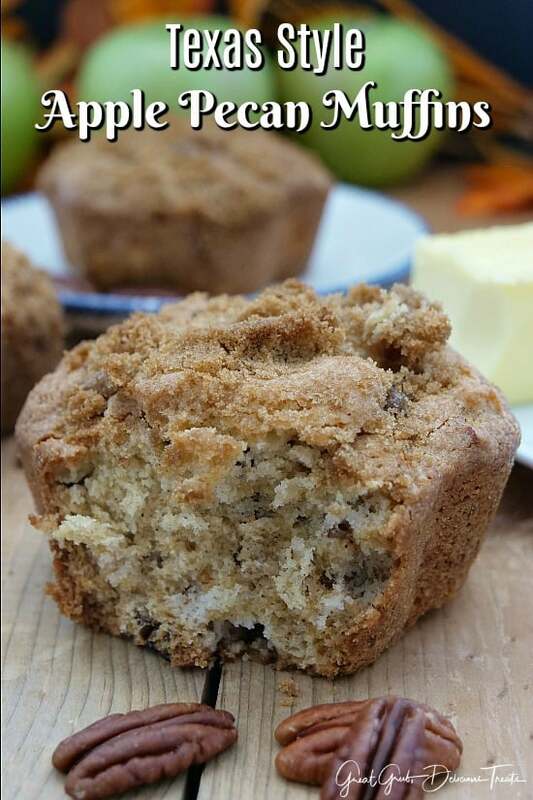 Right out of the oven, smothered with butter, is a delicious way to enjoy this apple muffin recipe. If you do not have a big Texas style muffin pan, this make approximately 15 regular size muffins. 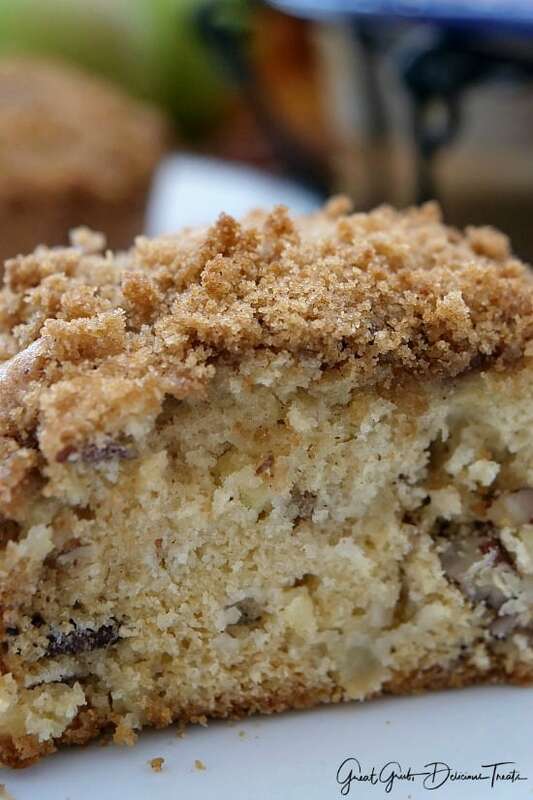 The streusel topping for these muffins is incredibly delicious. 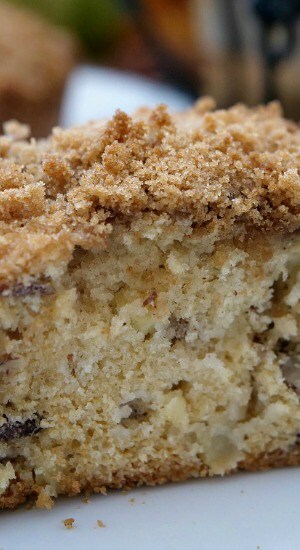 Being a lover of streusel, this streusel recipe makes the perfect amount of topping. Crunchy, sweet and delicious. 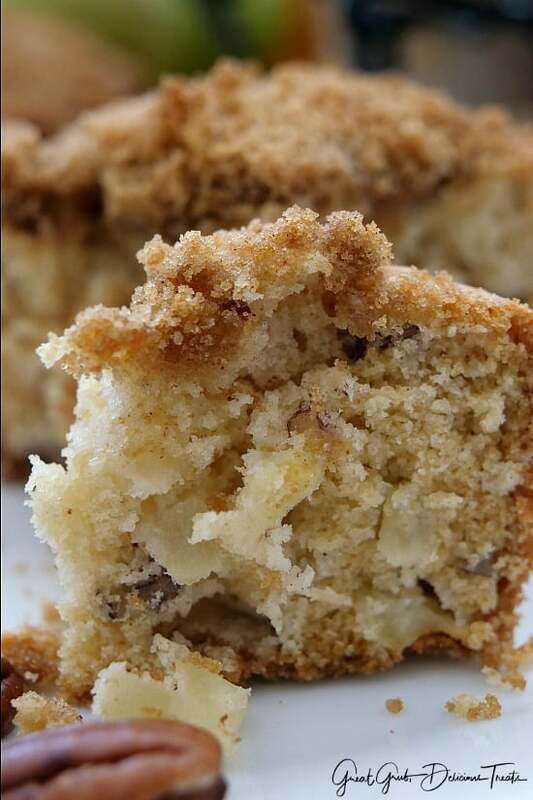 The streusel recipe can also be doubled, and if that is the case, then place half the muffin batter into the pan, top with a little streusel, add more batter and finally top with streusel again. Pop in the oven and once baked, the streusel topping is super crunchy and SO delicious, plus there’s a layer of streusel in the center of each muffin making these apple pecan muffins even better. This apple pecan muffin recipe is easy, and seriously, when smothered with butter, these are amazingly delicious. Having fresh, homemade, hot out-of-the-oven, muffins to sink your teeth into makes any day a great day. 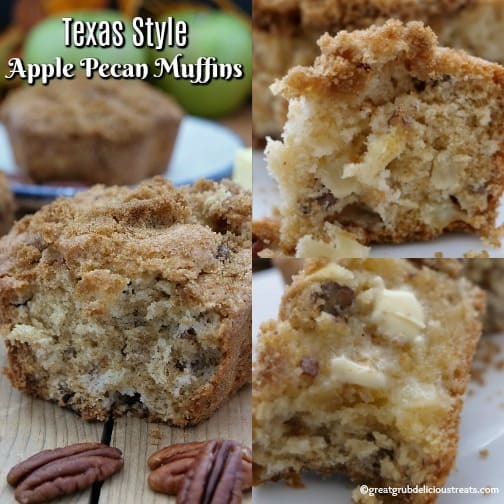 Loaded with apples and pecans, this Texas style apple pecan muffins recipe is a favorite in our house. Walnuts can be switched out for the pecans for a different nutty flavor. There’s just something about apples and pecans that tastes so scrumptious when paired up together. Definitely a favorite. 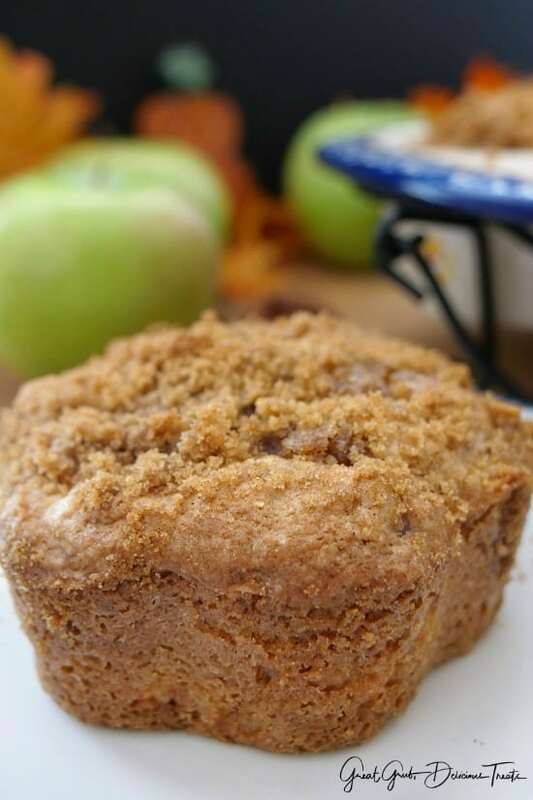 Here are a few more fall recipes you might enjoy: Apple Streusel Blondies, Homemade Apple Pecan Cinnamon Rolls, Apple Pecan Monkey Bread, Apple Walnut Crepes, and my delicious Caramel Apple Pecan Cobbler, plus many more. Make sure to check out all my delicious dessert recipe while you’re there. Preheat oven to 350° and grease or spray a jumbo muffin pan with a non stick spray. Set aside. In a medium mixing bowl, whisk flour, baking powder, baking soda and salt together. In another medium mixing bowl, beat butter and sugar together until mix well. Add one egg at a time, beat until creamy then add vanilla and mix well. Add dry ingredients into wet ingredients, stir. Fold in apples and pecans. Stir. Spoon apple pecan mixture into prepared Texas size muffin pan. In a small mixing bowl, stir brown sugar, flour, cinnamon and butter together until crumbly. Sprinkle streusel topping on top of each muffin and pop in the oven for 30 minutes or until a tooth pick inserted comes out clean. Serve warm: optional - smother in butter!